We know that feeling; you’ve just got back from a long day on the mountain and all you want to do is have a relaxing evening and enjoy a good bottle of wine. That’s why at Hotel L’Aubergade we’ve gone the extra mile to ensure your chilled evening set up is sorted with an incredible wine and tapas deal. A perfect environment to unwind after a busy day, the L’Aubergade is a great place to settle into a comfortable sofa, catch up on the days events and take it easy. 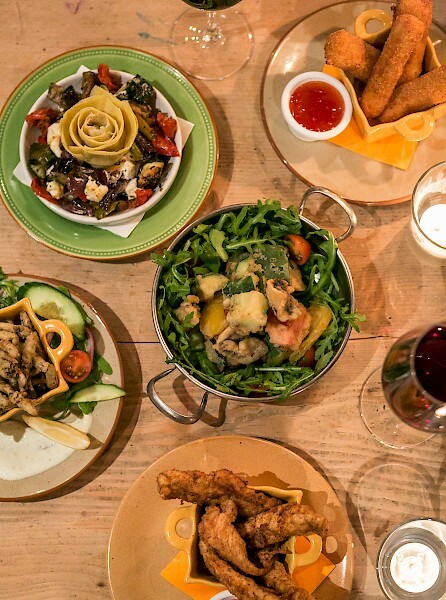 We have a great selection of dishes, from classic tapas plates such as Olives and Crispy Fried Chorizo to more modern alternatives like Southern Fried Chicken and Mozzarella Sticks, as well as an exceptional selection of vegetarian and vegan options, so you’ll always find something on our menu to suit you. 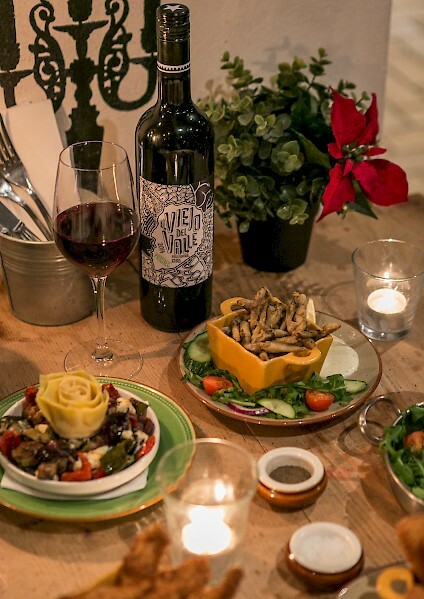 So savour the time you have on holiday to put your feet up and come down to L’Aubergade between 6-9pm everyday to relish some well-deserved down time with tasty food and selection of wines. 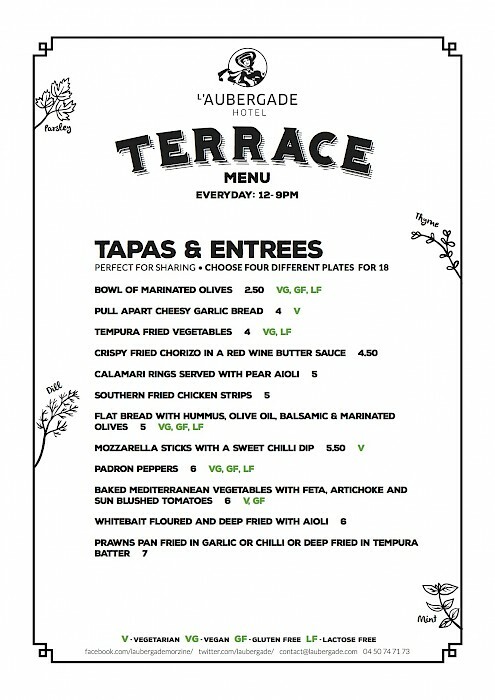 Choose 4 plates from our fantastic tapas menu and a bottle of our house wine (either red/white/rose) for €26!